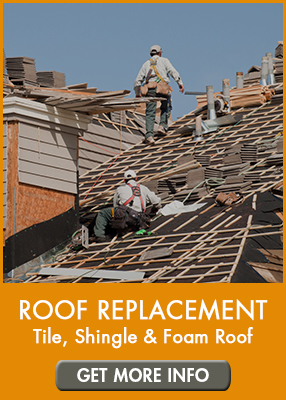 ​​ Shingle Roof: A shingle roof has the life of about 20-30 years. 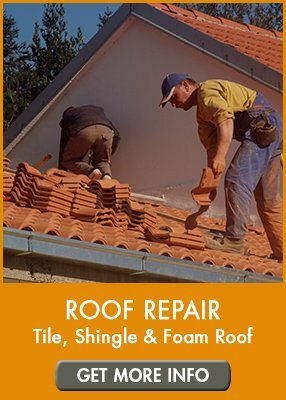 Tile Roof: The underlayment on a tile roof lasts about 20 years and the tiles them self have a life of about 50 years. How often should I have my roof serviced or looked at? ​​ You should have your roof serviced every year. We offer free roof inspections and can let you know if there is any maintenance that needs to be taken care of. You should make sure your roof is cleared of debris every few months. What warranty is offered by AZ Roofing Works and is it transferable? ​​ We offer a 2 year warranty on all work completed by AZ Roofing Works. Full replacements are subject to a longer warranty. All warranties are transferable to new owners in the event you sell the property at no additional cost. How many layers of shingles are allowed on a roof? ​​ The Arizona building code allows the maximum of 2 layers of shingles. 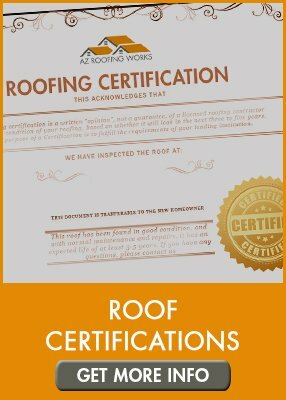 What is a roofing certification and do you provide this service? ​​ A roofing certification is a document that states the roof has at least 2-3 years of life left after a thorough inspection by a licensed roofing contractor. At AZ Roofing Works we do offer this service. Do you allow payment through close of escrow? ​​ We do allow payment through close of escrow for our customers. We require a copy of the HUD1 statement showing AZ Roofing Works is listed to receive payment at closing. Please contact our office if you are interested in paying at close of escrow so we can help you!